Throughout the history of storytelling real life events have provided sustenance for dramatic fiction. While the mind and the levels of consciousness remain shrouded in ambiguity, human civilisation has nonetheless built itself upon a desire to create a concrete level of understanding. This has led to the projection of our consciousness upon the universe and planet where there is otherwise none. This is the foible in humanity, a weak point in our collective sense of self. Storytelling however has concrete origins – everything in narrative fiction born out of reality and the everyday, through the human experience across the generations. 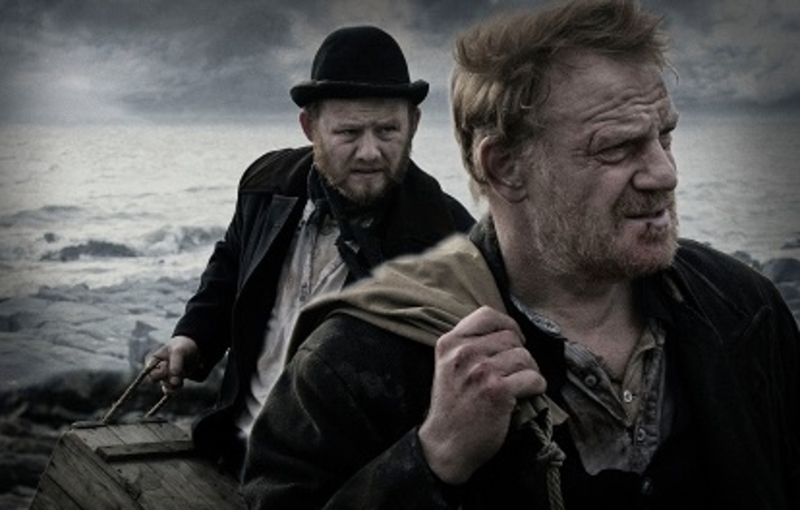 Chris Crow’s psychological drama The Lighthouse (2015) dramatises the tragic events of 1801 on Smalls Island, where twenty-five miles from land in the violent Irish Sea, grief marked lighthouse keepers Thomas Howell (Michael Jibson) and Thomas Griffith (Mark Lewis Jones) find themselves caught in a prolonged storm. Here we have an example of how storytelling offers the concrete origins for which we place such an emphasis on as a civilisation. Yet it is one that shows that our everyday reality remains convoluted by religious belief. And in so doing it is demonstrative of the power of storytelling to reinforce human foibles, and to subjugate creation and natural events to conscious intent and self-awareness. We should not disregard how religion was a means to temporarily light up the abyss of confusion in an uncertain world, until science and philosophy could offer us an enlightened view. Therein, the logical trajectory of human evolution is to part ways with religion and become autonomous from belief structures that subjugate man to higher beings or forces. Rather the conflict of life is conscious man versus his unconscious habitat. While an effective psychological drama through suspenseful tension and a haunting quality, beneath its skin, Crow’s genre film is so much more. With its deep and profound undercurrents it illuminates the potential for genre to be as intellectually vital and important as art cinema. In these spatially and character restricted stories of which The Lighthouse belongs, there are fewer narrative implements for the filmmaker to use. The movement between locations is an opportunity to liberate the characters and drama, expanding the scope of the narrative. Yet in the hands of a skilled filmmaker, these limitations do not hinder the creation of a compelling tale. 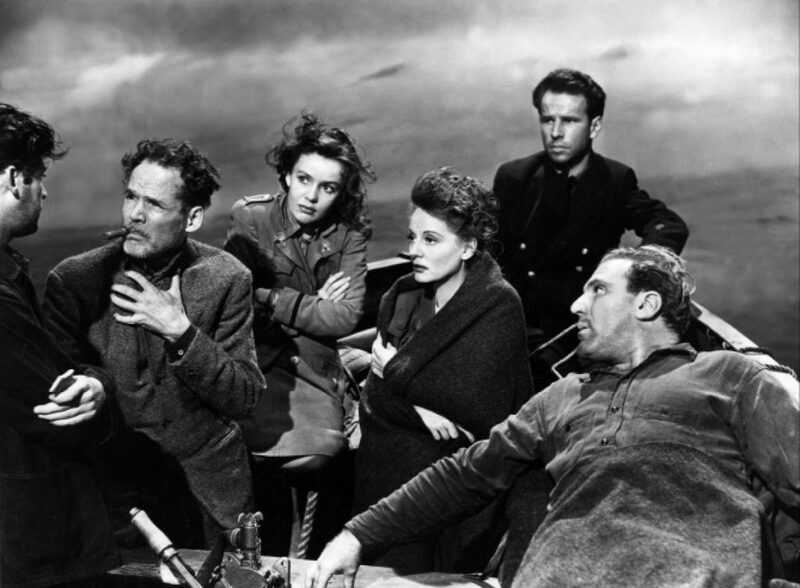 Rather the spatial limitation of such classics as Alfred Hitchcock’s Lifeboat (1944) and Sidney Lumet’s 12 Angry Men (1957), are examples of the filmic incarnation of theatre. And if The Lighthouse alongside these earlier examples are filmic incarnations of theatre, they could also be described as being similar to the intimate chamber music of the classical repertoire. More than his symphonies that became big public affairs, the string quartet chamber works of Soviet composer Dimitri Shostakovich served to reveal his soul and the rawest feelings of living under the oppressive Stalinist state. And while these these three films do not reflect as much on their creators, they do employ intimacy to bear the souls of their cast of characters with precision. And within this claustrophobic chamber form, they become to varying degrees a reflection of the flexible whole of the human form – emotionally, mentally and physically. We could then perceive Howell and Griffiths as the two musical instruments in their human sonata, their feelings of grief and guilt; anger and pride summoning up a tumultuous melody. Together the piano and cello, or violin and cello engage with melodic civility, and clash with incivility. The Lighthouse is beyond an entertaining tale of two men trapped in the midst of the storm. Within a narrative that transitions from a drama to a suspenseful and haunting psychological horror, it touches upon ideas of religion, spiritualism and mysticism, as well as the psychological. While it is an intriguing film with merit, it is likely to fall between the cracks of the collective cinematic consciousness. An effectively told story with an introspective ontological curiosity, it champions the intelligence and integrity of genre cinema, while managing to not sacrifice itself as a well told yarn. The Lighthouse is available to own on DVD in the UK courtesy of Soda Pictures.